Plasma Spray Chrome Oxide Coatings 2. 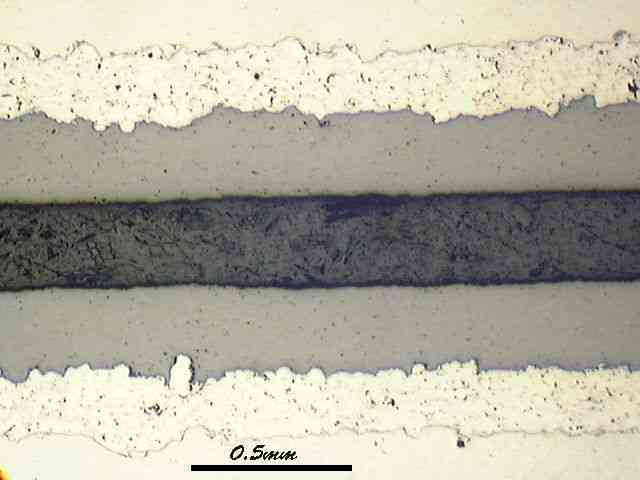 Plasma Sprayed Chromium Oxide Coatings with base coatings of Hastelloy C for use in very corrosive environments. The substrate is glass fibre reinforced polymer. 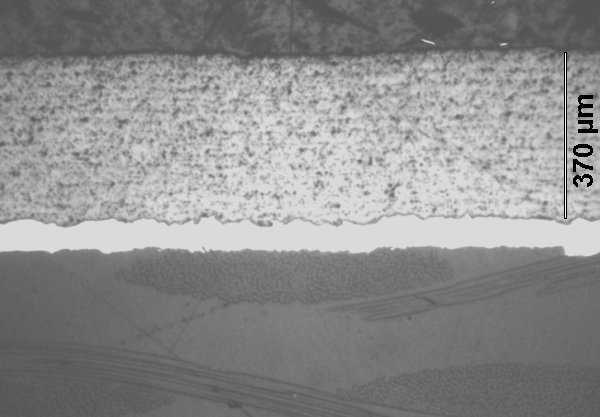 The coating shows slight lamination faults caused by an excessive deposition rate per pass.